What do you get when you fuse together pancake mix with a skillet? A small piece of heaven. Introducing the Dutch Pancake. 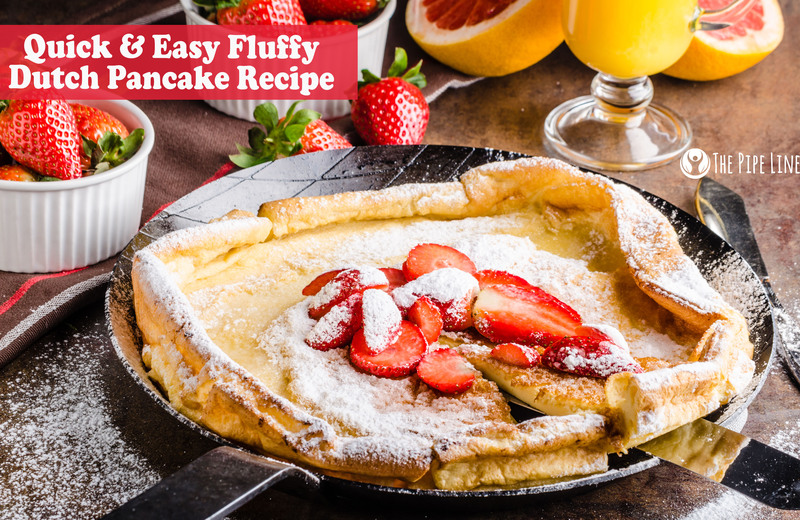 This fluffy, oven-baked delight is a great alternative to the traditional pancake we all love. For one, it takes minimal time to make—five minutes! Secondly, it is way easier to whip up and requires less of a kitchen mess—which means less stress! That, to us, is a major reason to love this recipe. 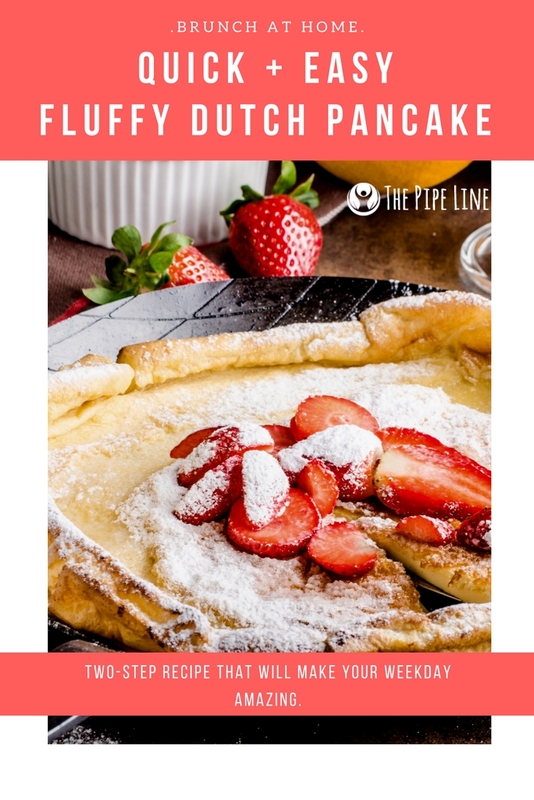 First things first, let’s cover the history of the Dutch pancake because don’t we all want to be gourmet chef geniuses? This pancake recipe, contrary to its name, didn’t originate in Europe…It was born in Seattle, Washington. A small restaurant called Manca’s Café developed the recipe, inventing a twist on the German pancake favorite. Though the café closed in the 1950’s, its pancake innovation lived on and has become a modern day treat for many. So, when you’re diving into your dish, thank Mr. Victor Manca and impress your family with this fact! While this recipe is classically served with butter, lemon and sugar (much like a crepe), there have been variations—it is versatile, after all. Want it to be more savory? Add sautéed spinach and sausage. Craving a little spice? Throw on an egg with some hot sauce. The combinations are only as limited as your creativity! Luckily for you, we decided to provide two takes on this poufy pancake: a savory version and a sweet one. We know, it’s intense. Top your pancake off with two fried eggs, 2 slices of crispy bacon, sliced avocado and salt/pepper. Cut into wedges and enjoy. Top your pancake off with 1 tbsp of butter (slightly spread on the surface of the pancake), fresh strawberries (cut), and topped with powdered sugar. Serve with chilled whipped cream for optional topping. Enjoy! Loved this recipe? Tell us what you’d top it with below!